Do you love a bag with lots of storage? This bag has it! 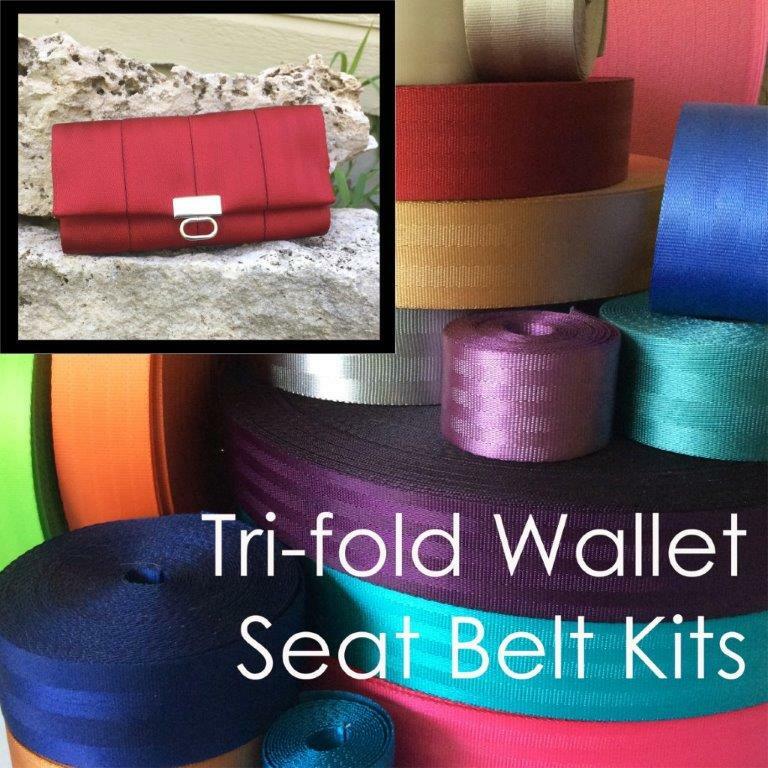 With four slip pockets, two zippered “petal” pockets on the exterior and a nice roomy interior, you can carry everything, including the kitchen sink! 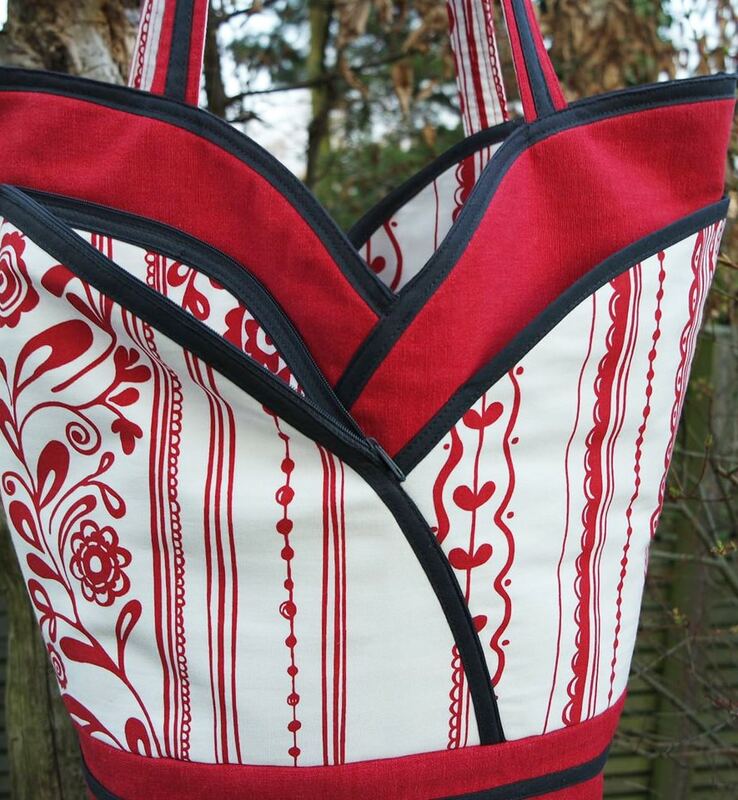 And, if that wasn’t enough, it’s reversible – like getting 2 bags in one! 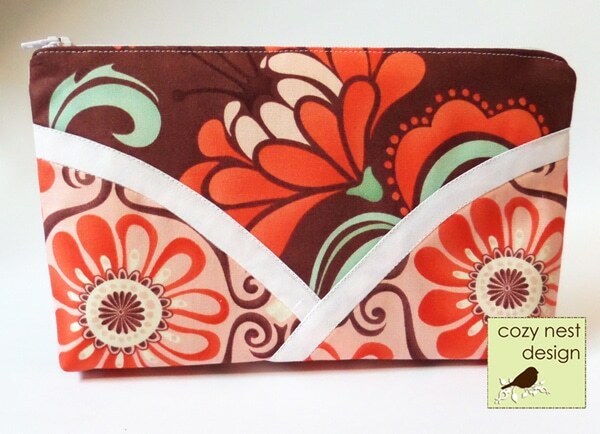 NOTE: The PDF version includes a matching cosmetic bag pattern to help keep you organized. 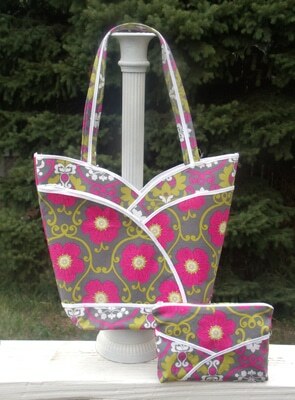 The paper version does not include the cosmetic bag pattern but can be downloaded for free here. Need inspiration? 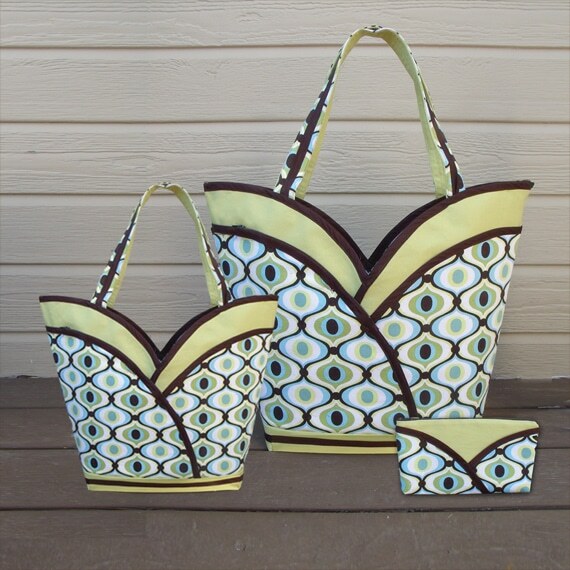 Check out the Petal Purse Gallery! Concise directions and illustrations take you step-by-step through the process. PDF pattern pieces are sized to print on standard letter sized paper. I just made the purse size and it turned out ridiculously adorable! The instructions were very clear and easy to follow, and I was so impressed by the innovative design. 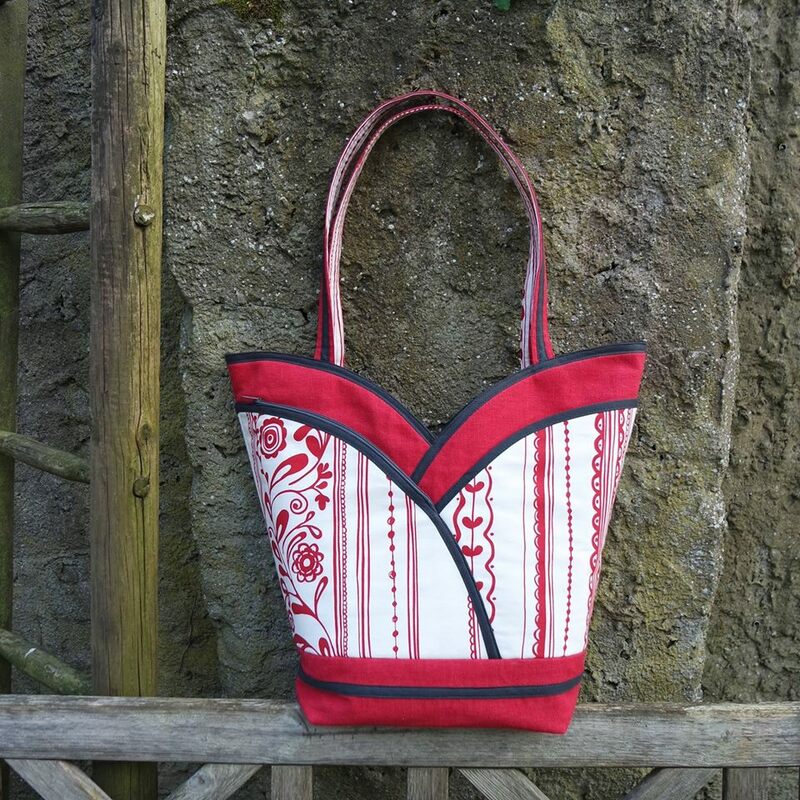 I love to sew bags, and finding a new and interesting take on the basic design was a breath of fresh air. 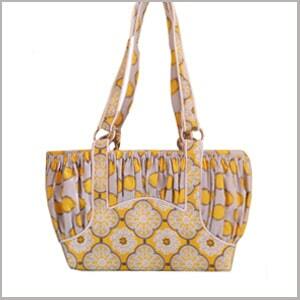 It’s visually stunning and very practical with all of the cute pockets! 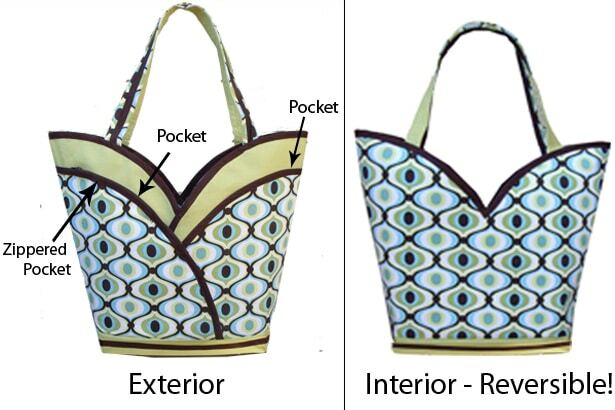 I posted a little about my experience sewing it at http://roonieranching.blogspot.com/2014/06/petal-pockets-purse-for-mia.html. 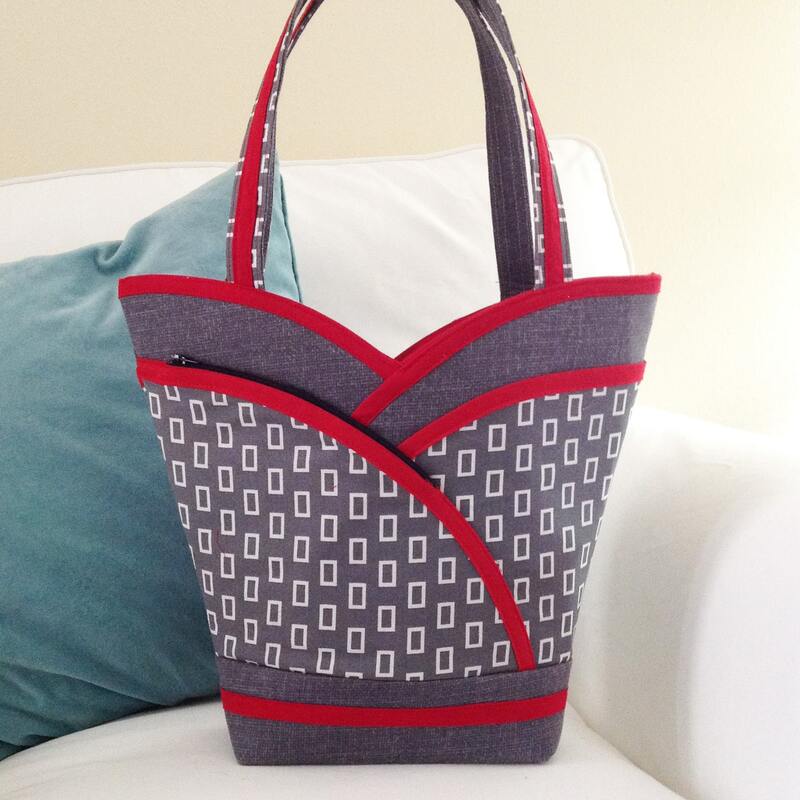 This is a great project to practice sewing skills like applying bias tape on a gentle curve and boxing corners to give a bag depth. Love it! Hello, Thanks for contacting me. I am sorry but, at this point, all of my patterns are only available in English.